Sports,Osaze Odemwingie has made his way back into the Nigerian squad for the 2014 FIFA World Cup while Ikechukwu Uche was not considered. Super Eagles coach Stephen Keshi would tomorrow in Abuja list his 35-man provisional list for the World Cup,and would be defending it before the technical committee of the Nigeria Football Federation(NFF). Going by the report,with the exception of Ikechukwu Uche,all other players who were part of the victorious 2013 African Nations Cup were all listed. 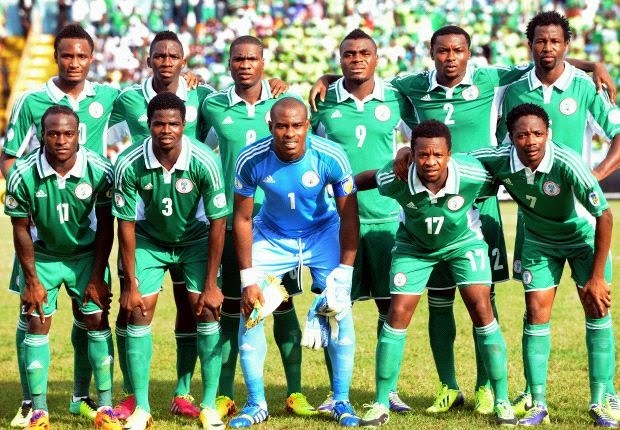 Six local based players from the Nigerian league who participated at the 2014 African Nations Championship(CHAN) were included. Leon Balogun as expected is equally part of the provisional list,having impressed the technical crew since he made his debut against Mexico in March. Last week,Osaze Odemwingie while speaking to Skysports said he was optimistic of making the Nigerian team to the World Cup. “There have been some issues (keeping me out of the team) but they’ve been resolved. As it is, I just have to work hard everyday and perform well for my club, and I’ll be back in the frame (for the World Cup). “Everything looks good, but I have to play well and, hopefully, I’ll have the chance (to rejoin the team).